The first thing I crocheted that wasn't a hat was this ridged scarf. 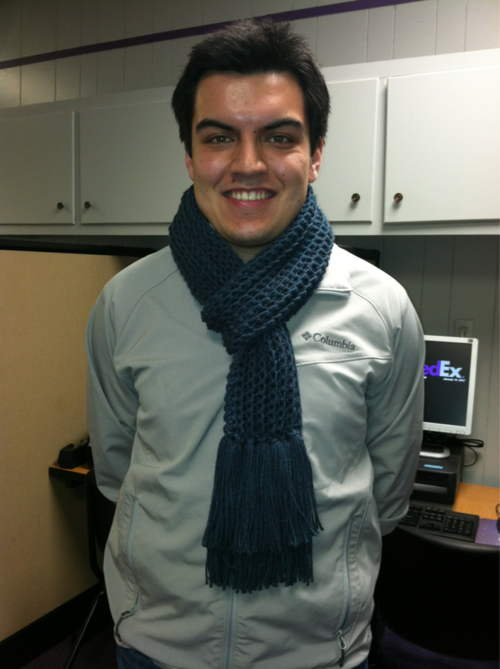 I used the free Easy-Wear Scarf pattern on the Lion Brand website. I used Red Heart Super Saver Economy worsted weight yarn in Artist Print. 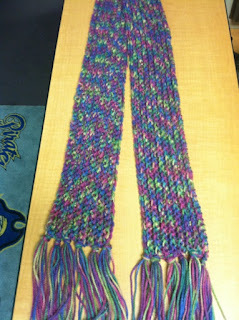 This is also the Easy-Wear Scarf pattern. 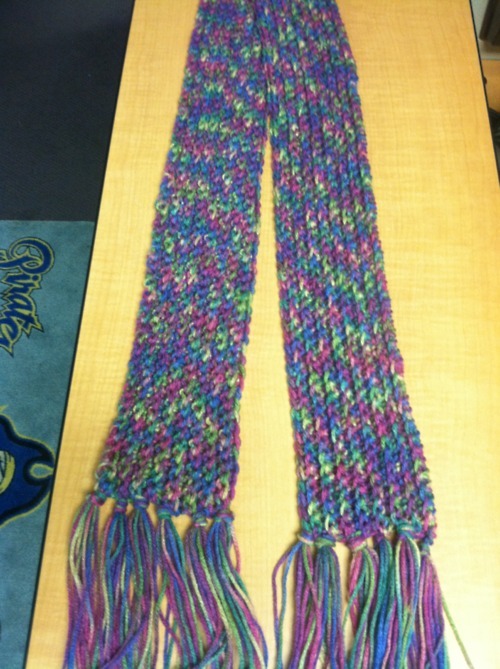 I used Bernat Super Value worsted weight yarn. The yarn is wicked cute. It's this blue color with a brownish undertone. The picture doesn't do it justice. 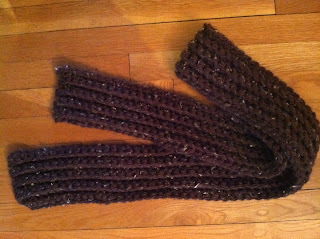 This scarf is an extra thick version of the Easy-Wear Scarf using size 6 extra bulky yarn and a bigger crochet hook. I used the free Breezy Scarf Pattern on the Lion Brand website. I used Lion Brand's Hometown USA yarn.